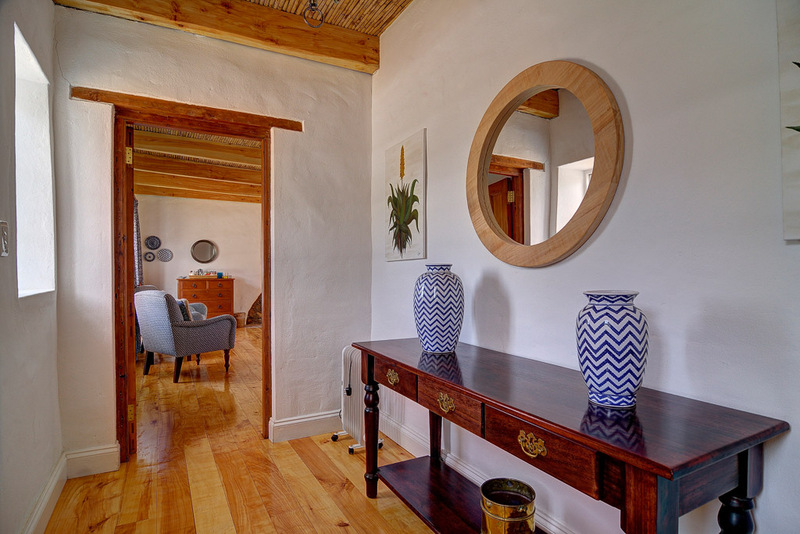 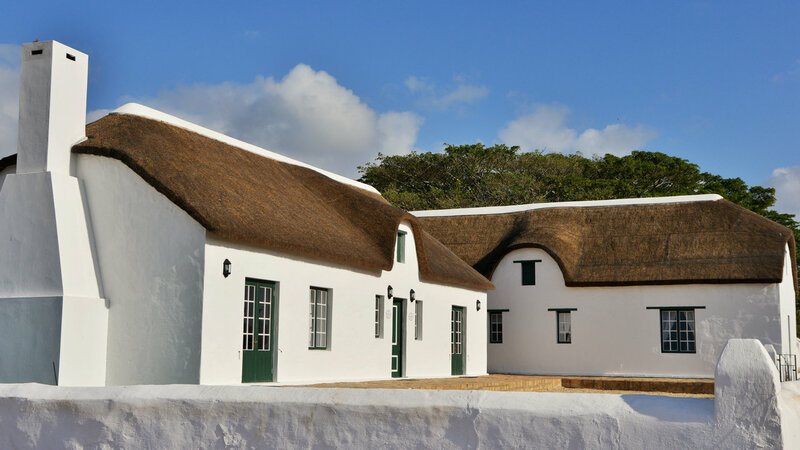 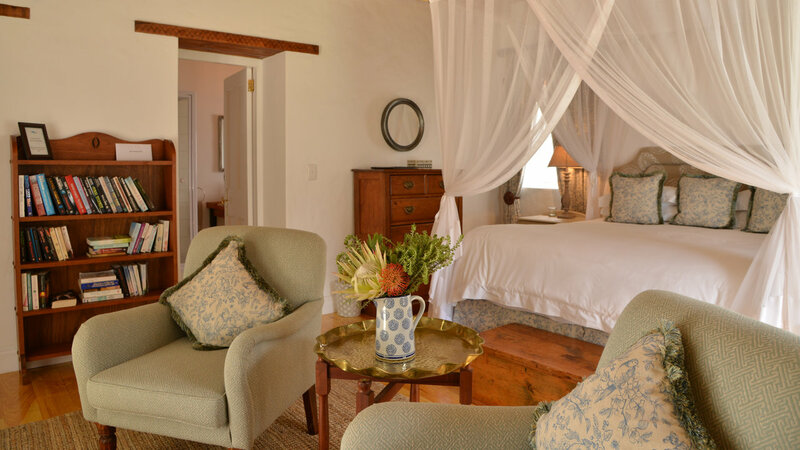 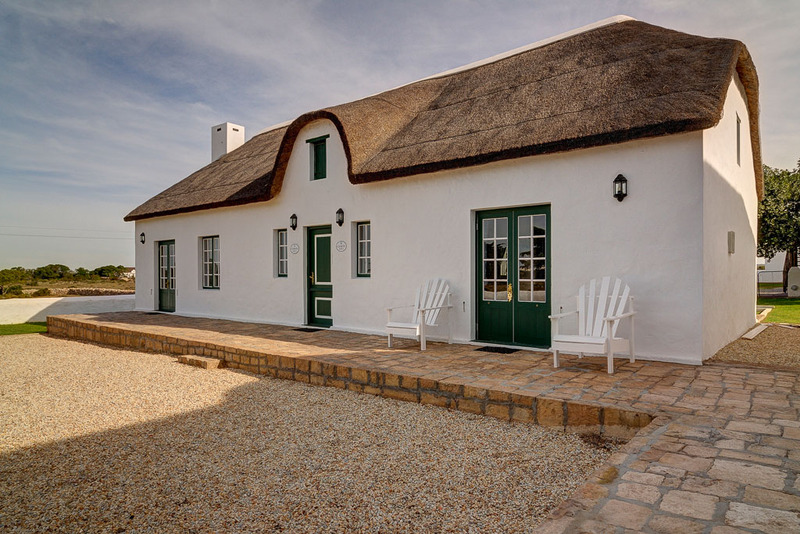 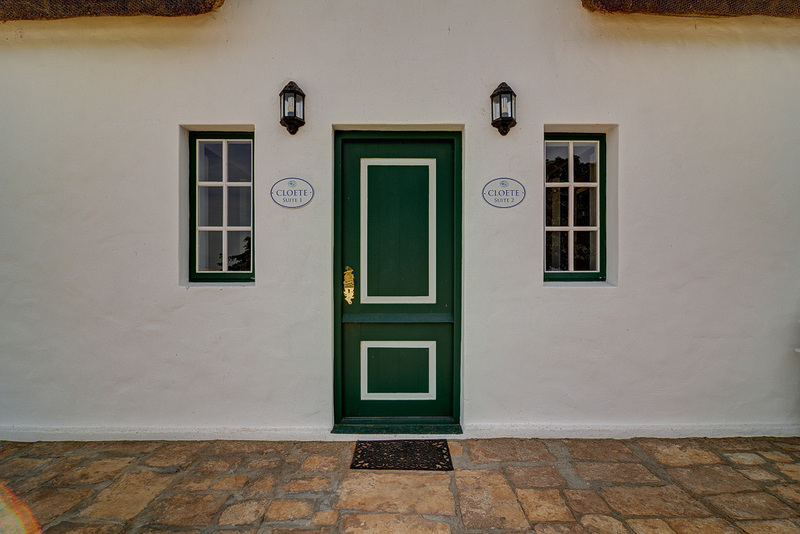 The Cloete Suites are situated in the Opstal area within close proximity to the Fig Tree Restaurant. 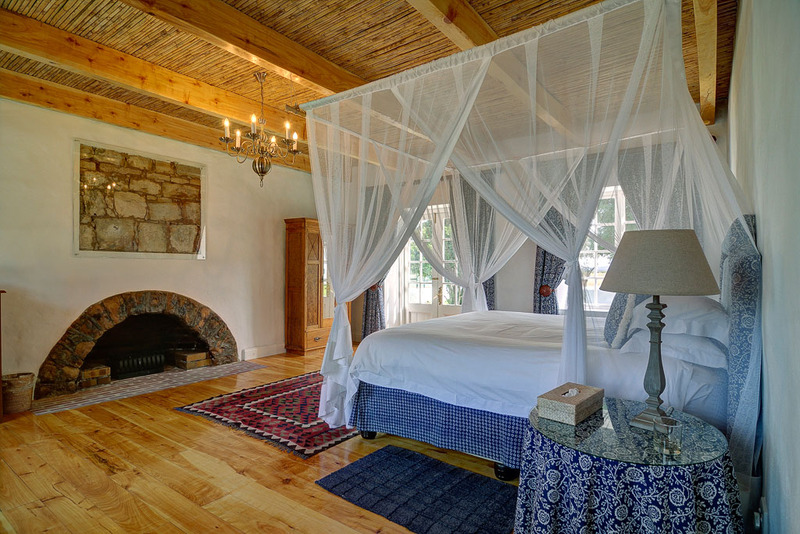 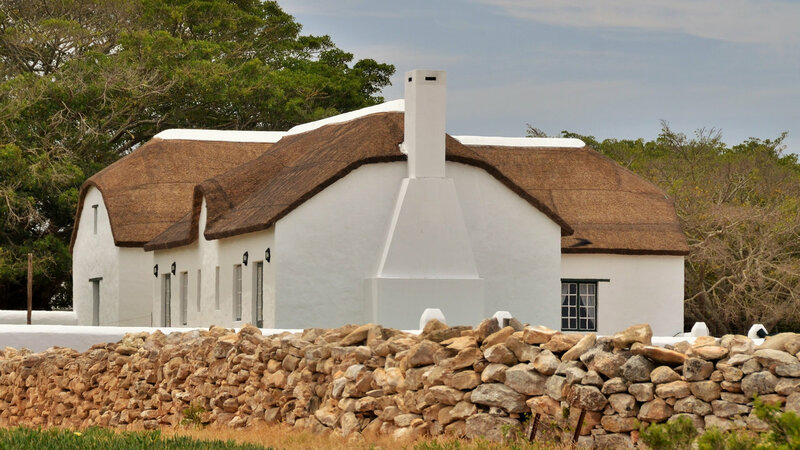 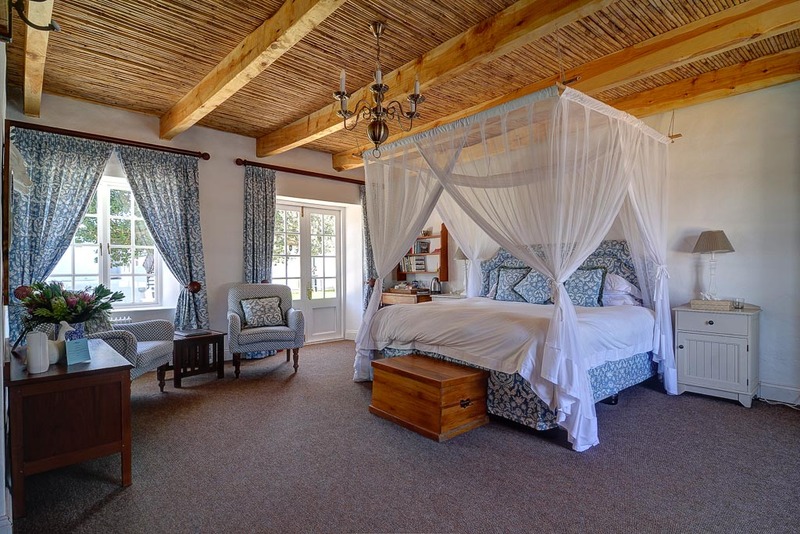 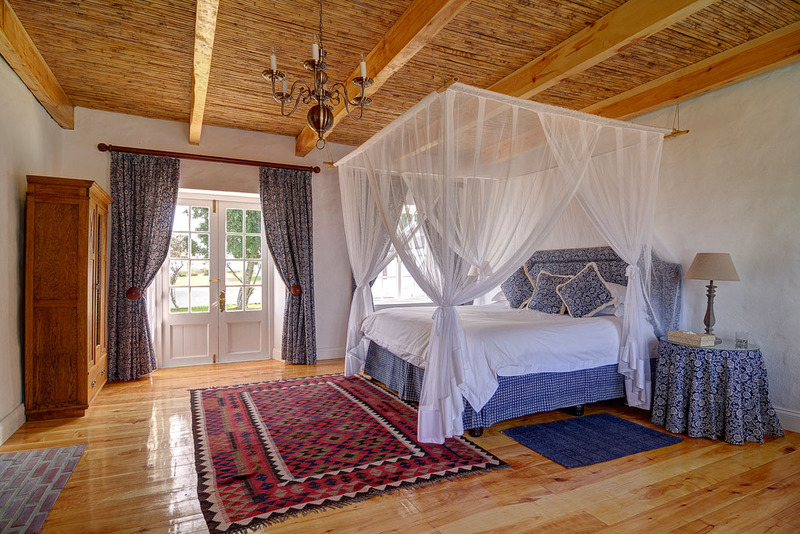 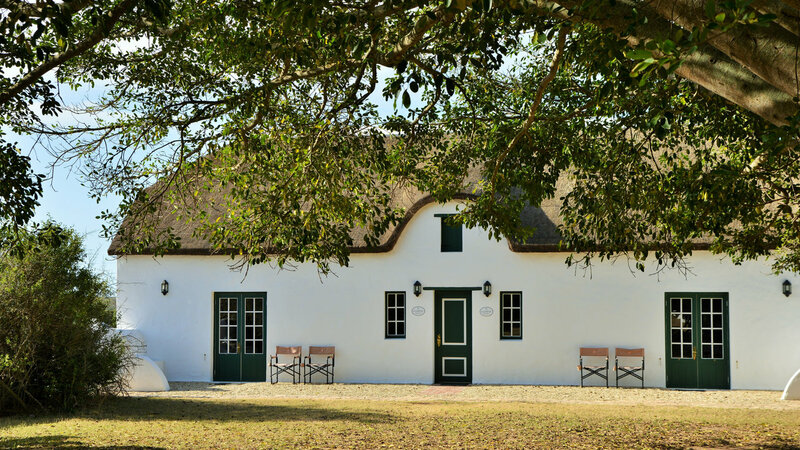 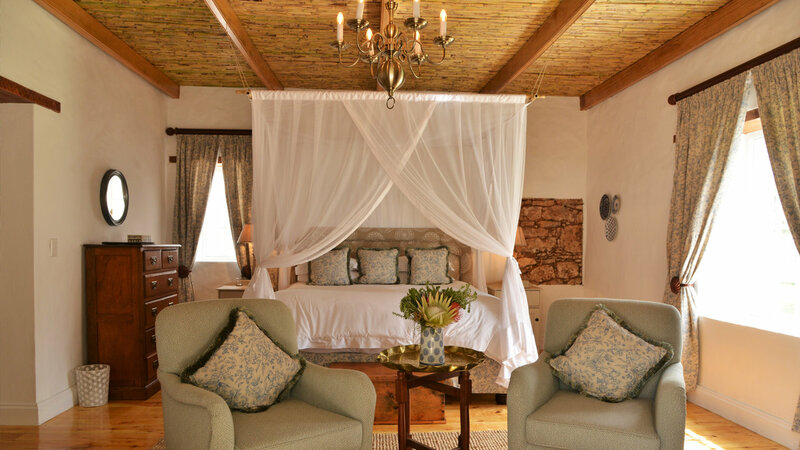 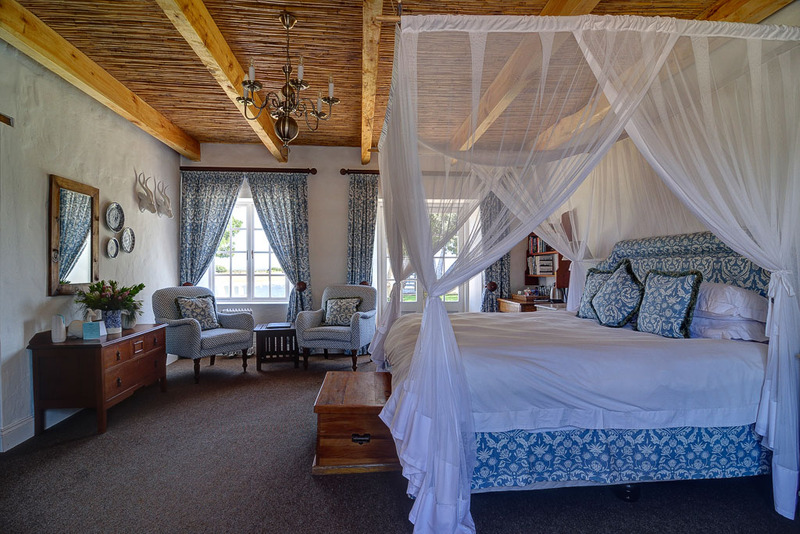 Two of the suites (1 & 2) have a view of the grasslands where bontebok, eland and mountain zebra amongst others can be seen grazing, while Cloete Suites 3 & 4 have a spectacular view of the old majestic fig trees in the courtyard. 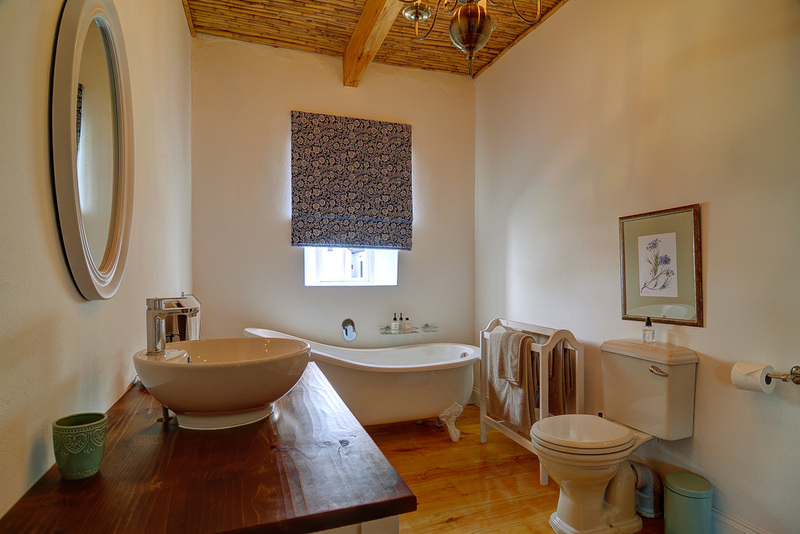 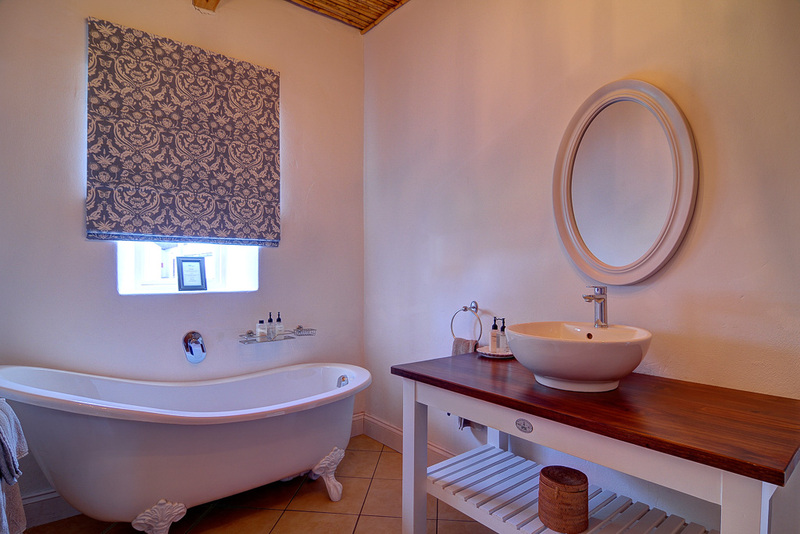 Each suite is beautifully decorated and has a seating area and an en-suite bathroom with bath and shower. 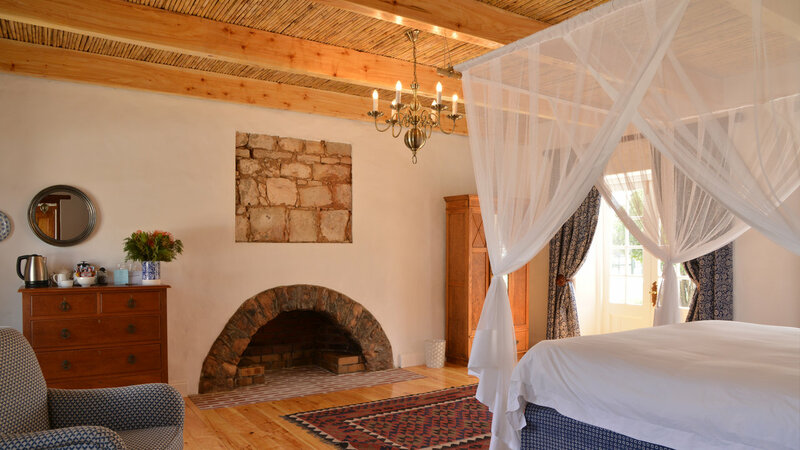 Cloete Suite 1 has a lovely fireplace for those chilly winter nights. 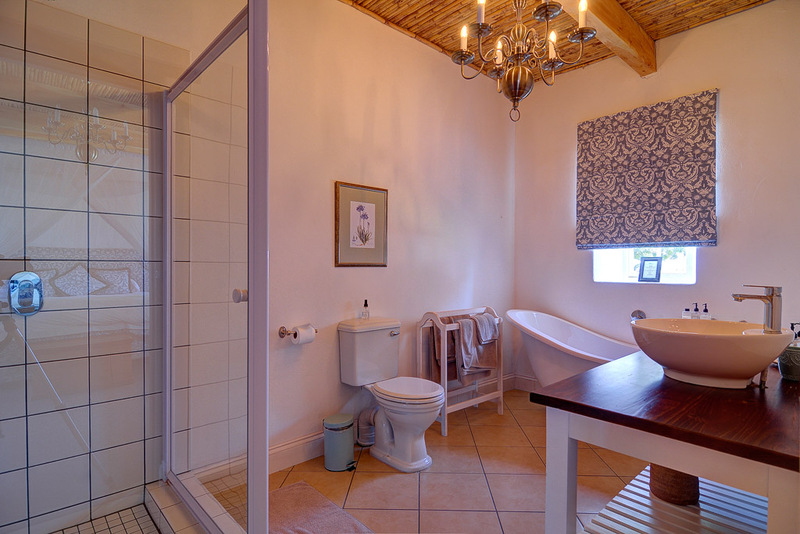 En-Suite Bathroom: Shower; Bath; Basin; Toilet; Bath Mat; Bathrooom Towels; Soap; Handwash; Shampoo; Conditioner; Body Wash and Body Lotion provided. 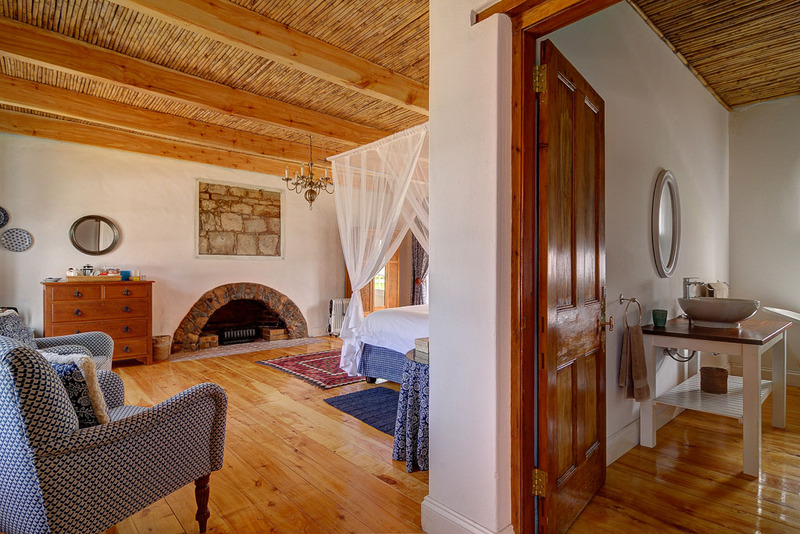 Cloete Suite 1: Complimentary firewood provided for fireplace.